The answer lies in healthcare EDI. Healthcare EDI simplifies billing by enabling medical practices to transmit billing information quickly and easily, although it raises another question. Should you use a billing clearinghouse or a consultant? This article explains the difference between the two so you can determine which works best for your medical practice. What Does a Billing Clearinghouse Do? A medical billing clearinghouse serves as a middleman between medical practices and insurance companies. Medical practices submit billing information to clearinghouses. Then, the clearinghouses transmit that data electronically to insurance companies. Clearinghouses engage in what is called “claims scrubbing.” That process involves checking the claim for errors and verifying that it is compatible with the payer software. The clearinghouse will check that the procedural and diagnosis codes match so medical practices can avoid time-consuming and costly errors. In order to understand what a consultant does, and which option makes more sense for your practice, it is important to first have a good grasp of the role of EDI in healthcare. The Healthcare Insurance Portability and Accountability Act (HIPAA) stipulates that covered entities must use the X12N EDI standard when electronically transmitting data. Covered entities include health plans, healthcare clearinghouses, and any healthcare provider that carries out electronic transactions (not just those who accept Medicare and Medicaid). Data covered by the HIPAA EDI Rule include healthcare claims, claims status and remittance advice, eligibility verifications and responses, referrals and authorizations, and coordination of benefits. To comply with the EDI rule, a consultant will establish and maintain the software that transmits information to health insurance companies. The consultant will also integrate scheduling, eligibility verification, coding, payment review, accounts receivables, and re-submissions into the software so it fits in with the medical practice’s operations. If you are a smaller practice, a billing clearinghouse makes more sense. Billing clearinghouses save time, money, and effort – three things which are in short supply at small practices. How do billing clearinghouses do that? Clearinghouses catch errors made during the data entry process. The clearinghouse will notify you in real time so you can fix them and resubmit the claim (meaning you get paid faster). While we are on the topic of being paid faster, clearinghouses submit information electronically, which takes less time to process (and increases the speed of payments). If you are a larger practice, working with a consultant may be the right choice. 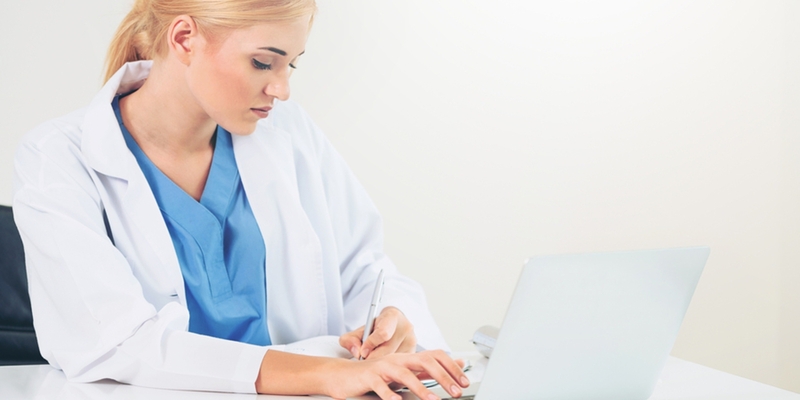 Look for a consultant who is well-versed in healthcare EDI to get the most bang for your buck. Medical billing is a crucial part of medical practices. However, it does not have to be expensive or time-consuming. Healthcare EDI is essential. Get an EDI Assessment. Absolutely free.